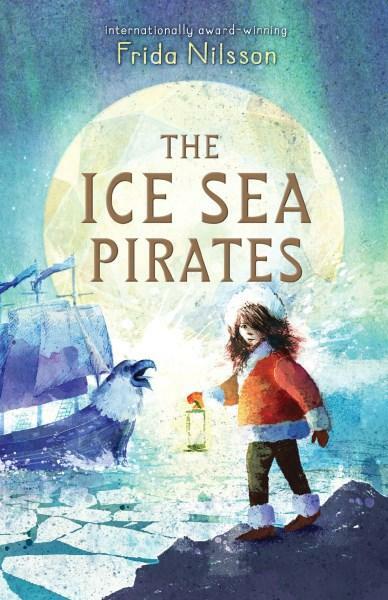 The Ice Sea Pirates is a junior version of the Iliad with mermaids, pirates and treacherous weather. Siri and her little sister Miki have grown up with cautionary tales of Whitehead, the most fearsome pirate in all the Northern Ice Seas. He isn't interested in treasure. He seeks children, the smaller the better. When Whitehead's pirates kidnap Miki, Siri is determined to track Whitehead and his pirate ship down. But no one is prepared to help her. Everyone has grown up with the same terrifying tale. Some have even lost little brothers and sisters to the evil pirate. So Siri sets off alone. Her journey is fraught with life and death predicaments and her one ally is wrenched away from her by a greedy captain. Siri nearly drowns in the icy Arctic ocean and she is distracted from her mission again and again. Siri learns to shoot to save her life but cannot bear the thought of shooting for any other reason. She also cannot bear to abandon a friend. If you love a rollicking adventure where the unexpected makes you stop and think, you'll love The Ice Sea Pirates. Themes of loyalty, courage, conservation and child slavery may well trigger a heated debate or two along the way. Or not. This will depend on the age and insight of the audience. The Ice Sea Pirates is a hypnotising read-alone for confident middle graders or a perfect bed-time story for any age.